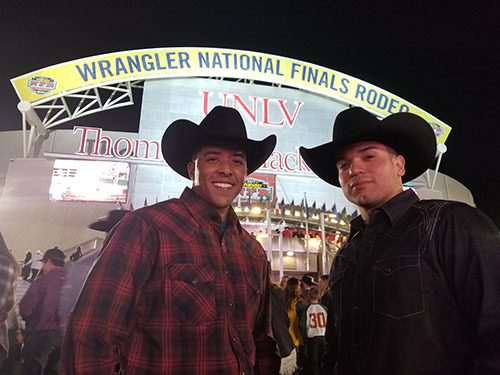 Las Vegas, Nevada – The last time world champion cowgirl Annie Bianco, saw US Army Chief Warrant Officer Gamaliel ‘Gamy’ Martinez, and US Air Force Technical Sergeant Nick Chung, was seven months ago and half a world away from the lights of Las Vegas. 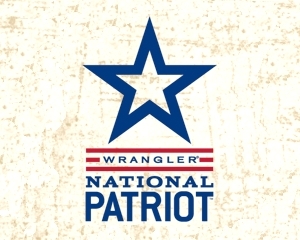 As member of the Wrangler National Patriot team, Wrangler’s ‘Outlaw Annie’ has traveled around the world with fellow cowgirls and cowboys on Memorial Day making sure that our deployed service members know just how much they mean to the entire western lifestyle community. “Our mission is to visit the most remote and isolated outposts in the world, to stand beside our military members in saluting the service and honoring the sacrifice over Memorial Day week,” says Annie, who has traveled multiple times to Iraq and Afghanistan, northern Africa and remote Coast Guard Stations in Alaska to name a few areas of operation. For U.S. Army Blackhawk pilot CW2 Martinez, a member of the US Army’s 101st Airborne Division, having had the Wrangler cowboys and cowgirls land on Camp Bondsteel, in Kosovo brought a huge morale boost. 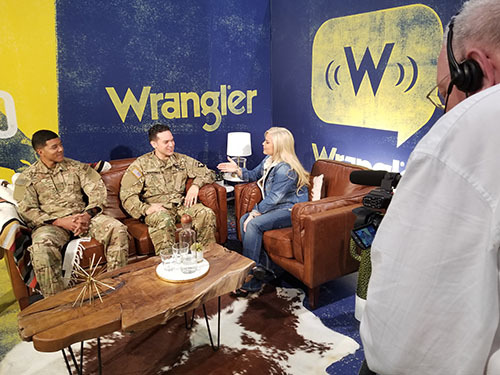 “These guys come in with American300, which is a Veteran run nonprofit that specializes in real world resiliency programming year-round, their guests are always so positive and focused on our people.” says Chief Martinez, who along with Tech Sergeant Chung, of Moody Air Force Base, have arrived in Vegas as special guests of the Wrangler Corporation and the Pro Rodeo Cowboys Association. American300’s Colonel John Bates, USMC retired, a three-time purple heart recipient and Robi Powers, an Army Veteran and founder of the nonprofit spend months year-round bringing mentors to bases, but are quick to point out that during the hollowed final days of May, the focus is on connecting the world class Wrangler Cowgirls and Cowboys with our Troops serving out on the edges of theater operations. “For those of us in uniform, Memorial Day is every day, but during the federally recognized day each year there’s no better group of American’s to stand alongside our fellow service members then these Wrangler National Patriots.” says Colonel Bates.